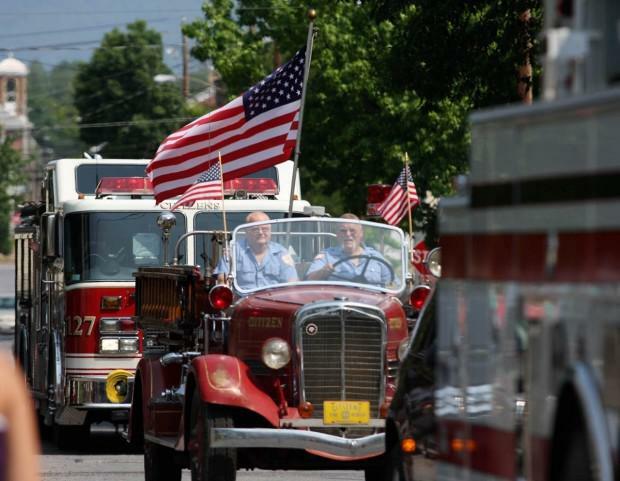 Camp Hill's Memorial Day parade, sponsored by American Legion Post 43, will begin at 9:30 a.m. May 27 at North 19th and Market streets and end at the firehall. The ceremony will start at 11 a.m. in Camp Hill cemetery. Festivities will be held in Willow Park after the parade and include children's activities, food and information booths. . For more information, go to click for details. Thank you for visiting TownPlanner.com for your local events, coupons, and things to do in Camp Hill, Carlisle, Mechanicsburg, East Pennsboro, Lemoyne, New Cumberland, Hershey, Hummelstown, Harrisburg and our neighboring communities. We proudly POST & PRINT local events for FREE for Central PA's non-profits. There are 2 ways to participate. Join as a member: click on "create an account" at LOGIN tab and starting posting immediately. OR you can email your event information to Town Planner community calendars at weaver@townplanner.com. Include jpg photo or flyer under 1MB, but no PDFs please. Also be sure to receive our weekly local events e-newsletter, easy sign up at "e-newsletter". A quick snapshot of the area's next 10-days of events. We KEEP YOU in the KNOW on the GO too! Just download Free Town Planner APP today!